Spring 1921. The Great War is over, Prohibition is in full swing, the Depression still years away, and Newport, Rhode Island's glittering "summer cottages" are inhabited by the gloriously rich families who built them. Attorney Adrian De la Noye is no stranger to Newport, having sheltered there during his misspent youth. Though he'd prefer to forget the place, he returns to revise the will of a well-heeled client. Bennett Chapman's offspring have the usual concerns about their father's much-younger fiancee. But when they learn of the old widower's firm belief that his first late wife, who "communicates" via seance, has chosen the beautiful Catherine Walsh for him, they're shocked. And for Adrian, encountering Catherine in the last place he saw her decades ago proves to be a far greater surprise. Still, De la Noye is here to handle a will, and he fully intends to do so--just as soon as he unearths every last secret, otherworldly or not, about the Chapmans, Catherine Walsh . . . and his own very fraught history. A skillful alchemy of social satire, dark humor, and finely drawn characters, Newport vividly brings to life the glitzy era of the 1920s. Here is what I knew about this book going into it: It was set in the 1920's and deals with the rich in Providence, RI. That's it. I'm not sure why I didn't know more--after all, I had the book with the synopsis on the back in my hand--but I didn't. I honestly can't say if that impacted my enjoyment of this book or not, but I think it is something I should disclose because one thing that I enjoyed about this book is that I never really felt like I knew what was going on. Okay, I know that sounds like a negative, but it really works here. Of all the characters in this book, there are 2 that the instinctively know they can trust, and one of them is a very peripheral character. I don't know if I would say that the characters are unreliable, but more than Morrow is very careful about what information she gives out and when. I never knew if I was dealing with the supernatural or an elaborate hoax. Not only does this add a new dimension to the characters, but it keeps the reader pulled in from beginning to end. I was describing this book to my mother and her response was that it sounded very stressful. While I can see how she'd get that from my description, the truth is that this book is not stressful at all. I'm not sure if I can adequately describe my experience with this book, but here's my best attempt: Sometimes, I read a book and think that it would make a great movie. With this book, I felt like it would make a great stage play. It is a very contained story in that the cast of characters is limited and, with the exception of a series of flashbacks, the action takes place in one location. For me, this was a great summer read--the plot was fast and evenly paced. The characters, while sometimes a bit cliche, were entertaining. And, when it was done, I felt like my time had been well-spent while not personally feeling spent. 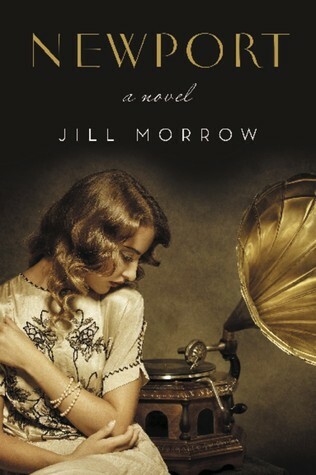 This is the first novel by Jill Morrow that I've read and I'll be watching for more from her in the future! Jill Morrow has enjoyed a wide spectrum of careers, from practicing law to singing with local bands. 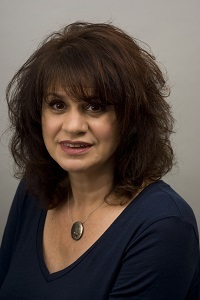 She holds a bachelor’s degree in history from Towson University and a JD from the University of Baltimore School of Law. She lives in Baltimore. Find out more about Jill at her website, and connect with her on Facebook and Twitter. I received a copy of this book in return for an honest review. I received no other compensation for this post.